The Blue Collar Pet Salon is dedicated to personalized, high quality, all breed pet grooming. Our groomers are focused on compassionate handling of your pet and strive to make the grooming experience as stress free as possible. 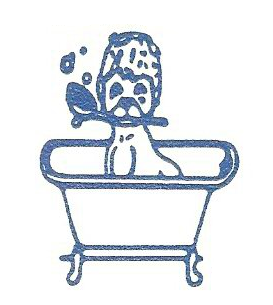 Located in the Riddell Square in Bremerton since 1999, we also offer a Self Service Pet Wash. Stocked with high quality pet shampoo and all the equipment you need to make your pet shine, it is an easy and inexpensive alternative to bathing at home. For up to the minute information, photos, and more please check out our facebook page! Earlier drop off or later appointments may be available. No appointment needed for Self Service Tubs. First come, first serve. Hey I have a basset hound with sensitive paws. Would you guys rather have me take him to a vet to get his nails trimmed or do you guys have a special way of trimming nails? Hi admin, i must say you have hi quality posts here. Your website should go viral.